Kitchen Refacing is a professional kitchen remodeling company dedicated to making the wants and desires of clients come true. 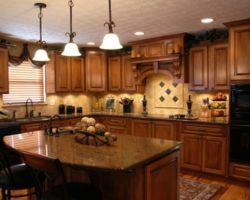 Whether you have a custom request for the way the cabinets are laid out or would like a very particular backsplash, this company can make it happen. They will walk you through every step of the remodel so that you are able to create the room of your dreams without forgetting any of the important details. Reviews say that the flexibility of this company is something all homeowners should experience when renovating. Designing any room in your home and undergoing a large remodeling project is easy when you work with Trimline Design Center. This specialist Miami kitchen remodeler has been offering insight and design options for homeowners for the past 41 years. In this time they have developed a system of working with homeowners that always provides the best final results. You will work closely with a designer on the layout of the room and then go through the planning, material options and budgets before handing the plans to the construction team. Sobe Kitchens is one of the leaders in selling discount kitchen cabinets and fixtures. 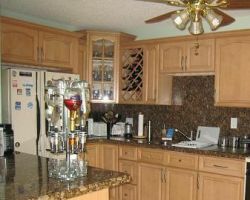 This team is also one of the top in the area for kitchen remodeling in Miami, FL. 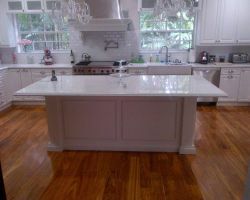 It is only natural that the people that sell the high quality materials would be able to help you renovate your kitchen. Throughout their work, Sobe aims to provide customers with the most affordable options and the best customer service and their renovation team does not disappoint. They will make the process seem like a breeze. Marlow’s Plumbing offers complete kitchen remodeling services that will give your room a fresh look that has been executed with flawless craftsmanship. This company is not only able to deal with the plumbing aspects of the kitchen but also the design and the construction. If you are looking for a kitchen remodeling contractor that can really do it all for relatively cheap prices, then this one is it. This company offers a worry-free guarantee and the knowledge that they have been in business since 1991 with total success. There are plenty of local remodeling companies in Florida, but only EJD Construction can help you with a dream kitchen remodel from start to finish. 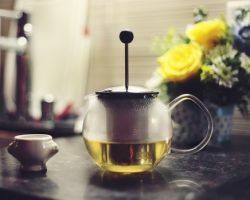 They will help you with the gutting of an outdated or unwanted kitchen as well as come up with the plan and the specifics of the new kitchen and how to make it come to life on your specified budget. This team works to create a space that is beautiful in terms of design, functional in terms of usage and comfortable for the entire family to gather together.